Temperature controllers maintain a set temperature level using input from a sensor, thermometer, or other device. They monitor a temperature and output a control signal to a heating or cooling device. The most basic temperature controller, a thermostat, simply starts a device at a preset temperature and stops it when a desired temperature is reached. Most temperature controllers, however, are able to perform calculations involving temperature fluctuations and rates in order to efficiently maintain a desired temperature. Because the controller is only one part of a larger control system, the system into which it will be integrated is of prime importance and should be analyzed to determine the controller's specifications. The type of input sensor, type of output signal, and control algorithm must be compatible with the controller to achieve a stable and efficient heating or cooling system. Temperature controllers may be used in a number of heating and cooling applications, including boiler, furnace, hot runner, HVAC, and laboratory control. While the following video is specific to PID controllers discussed below, it gives a good overview of a temperature controller's place in a home HVAC system. Temperature controllers can be classified using two different principles: the type of control they provide, and the type of device they control. On-off controllers are simple devices that output either an "on" or "off" message when the temperature crosses a predetermined setpoint. For example, a heating controller would switch on when the temperature falls below the setpoint, and switch off when it rises above it; a cooling controller would perform the opposite function. On-off controllers are used in environments which do not require precise control or rapid switching, and in applications where the temperature changes extremely slowly. The graph below shows typical on-off heating control, with the blue blocks indicating "on" switching. Note that the controller has first switched the heating system on for an extended period in order to "overshoot" the setpoint of 200°, then periodically switches briefly when the temperature falls below the setpoint to a certain degree. Proportional control involves establishing a "proportional band" around the setpoint. When the measured temperature falls into the band, the controller begins to vary the amount of power provided to the heater or cooler it is controlling. Because proportional controllers slow the heater or cooler as the temperature approaches the setpoint, they eliminate the more drastic overshoot of on-off controllers. The graph below shows the operation of a typical proportional controller, including the proportional band, reduced overshoot, and temperature "droop" characteristics of proportional control. PID controllers combine proportional control with two additional adjustments, integral and derivative, designed to further compensate for changes in the heating or cooling system. Integral is also known as the "reset" function, in that it pushes temperature toward the desired setpoint once the proportional "droop" occurs, resulting in more efficient control. The derivative or "rate" function works to eliminate over- and undershooting by switching the heater or cooler off when the temperature approaches the setpoint too fast. The graph below illustrates temperature control using PID. Note that, after a certain period of time (toward the right side of the graph), the controller has achieved precise control based on the established setpoint. Linear control combines a variable input signal with a correspondingly variable control signal. The output control signal is produced by signal conditioning, filtering, and amplification. Feedforward control does not require a sensor, and instead relies on a reference signal. It may be used in conjunction with PID control. Fuzzy logic is a type of logic control in which variables can have imprecise values as opposed to binary (true or false) variables. There are many different types of controller inputs and outputs. Voltage inputs and outputs are analog signals such as 0-10 V, ±5 V, etc. Current loop is expressed in milliamps (mA) and is an analog signal. Frequency input / output is an analog signal used to measure or indicate a process variable. Controllers which use switches, relays, or sensors accept a discrete, on-off voltage signal from the device monitoring the process. Digital inputs / outputs include serial, parallel, Ethernet, CANbus, and other networked signals. The Engineering360 SpecSearch database contains information about numerous controller mounting methods. Printed circuit board (PCB) controllers can be attached to an enclosure or plugged directly into a computer backplane. Panel mount controllers attach to a panel or bolt onto a chassis, cabinet, or enclosure. Rack mount devices mount on racks with hardware including guides, flanges, and tabs. Although rack sizes vary, 19" width is the standard for telecommunications racks. DIN rail devices mount on a rail standardized by the Deutsche Institut für Normung, a German standards body. Stand-alone controllers are benchtop or standing units with an integral cabinet and interface. RoHS and WEEE compliance are important to consider when selecting temperature controllers. The RoHS directive protects the health of electronics industry workers and those in close proximity to areas where high-tech waste is stored. Despite initial concerns about the reliability of lead-free solder, RoHS products have been favorably tested to withstand harsh environmental conditions and severe vibration and shock requirements. The Waste Electrical and Electronic Equipment directive (WEEE) became European Law in 2003, at the same time as the RoHS directive. WEEE legislation sets collection, recycling, and recovery targets of electrical products, with minimum amounts for recycling recovery. WEEE compliant manufacturers and distributors must provide users with the possibility of returning household electronic equipment to them for recycling free of charge. Flow controllers monitor and maintain flow-rate variables, typically in process applications. Humidity controllers monitor and maintain proper humidity levels in environmental test applications, food storage areas, and electronic equipment rooms. Level controllers monitor, regulate, and control liquid or solid levels in a process. 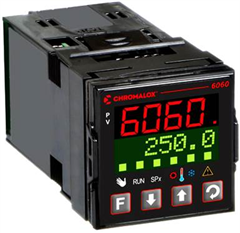 Pump controllers monitor flow and/or level variables, and control a pump accordingly to maintain the desired levels. Pump control can include simply turning a pump on and off, or more advanced controls for pump speed, output pressure, etc. Specialty industrial process controllers are used in unlisted, specialized or proprietary applications. Web tension indicators measure and report tension parameters in web or other flat-sheet production processes. Some types of web tension indicators have control functionality as well.